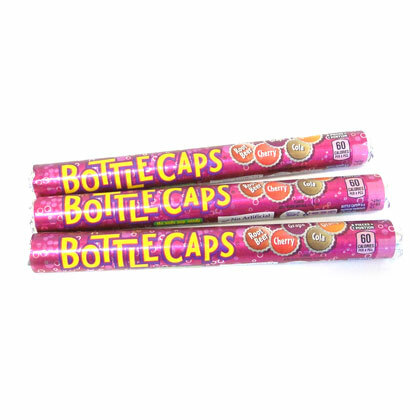 Delicious Wonka Bottlecaps soda flavored candy in a new 1.77 oz roll. Assorted flavors of cherry, root beer, cola, orange and grape. 3 rolls.